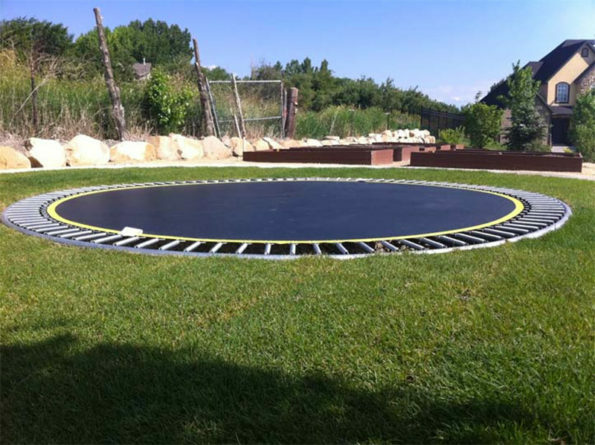 Trampolines Down Under is a company that sells in-ground trampolines. As I mentioned in the title, they look kinda dangerous, yeah? Then again, trampolines in general are kinda dangerous. My friend Kyle had a trampoline when we were growing up and I somehow kneed myself in the teeth on more than one occasion. Hey, I know what you’re thinking: is the trampoline really to blame or is it my severe lack of coordination? And now that you mention it, I have to admit, that’s a valid question. It’s probably a combination of trampolines being inherently dangerous AND my severe lack of coordination.